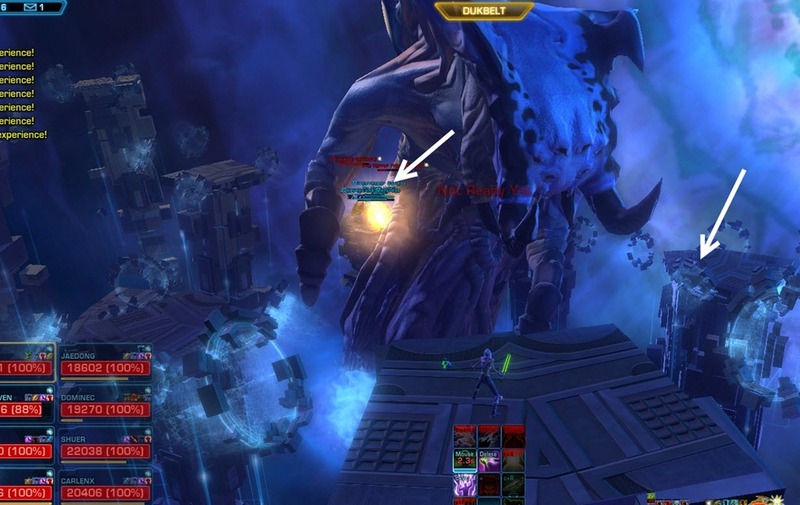 This is the boss strat for The Terror from Beyond, the final boss in SWTOR Terror from Beyond TFB Operation in Patch 1.4. Included are strats for storymode and hardmode. Tunneling Tentacles They have a frontal attack and should be tanked away from the raid. We generally divide into two self sufficient groups and kill both tentacles at the same time as that deals more damage to the boss. Unstable Larva One spawn at each side and head straight for the tank to explode unless DPS kill it first. Birthing Occurs between Tunneling Tentacles, avoid the Birthed Larva. Slam Deals ~8k damage and push you back, can be avoided by positioning smartly. Acid Spit Spit attack those not close to the tentacles. The combination of getting knocked back by Slam into the Spit can be deadly. Phase 1 is the boring phase of the two but easy to master. You cannot damage the boss at this point but the damage you do to the tentacles will be transferred to the boss. For this reason, it is better to divided the raid into two groups and kill both tentacles individually. While this will take longer than having all the DPS killing one tentacle, it will deal more damage to the boss, resulting a bit shorter phase 1. One tentacle will spawn on each side, but they seem to alternate in the position where they spawn. There are two possible positions: inside or outside. On the inside position, the two tentacles are closer together and it is safe for healers and melee DPS to stand behind the tentacle while the tank grabs it on the other side. This allow healer and DPS to avoid most of the acid spit and the slam attack. On the outside position, the two tentacles are further apart and it is safer for healers and DPS to stand diagonally from the tank, facing the boss. This will avoid most of the spit and slam attacks. In terms of the Acid Spit, players close to the tentacle receive a buff that decrease their chance of getting the spit. You will assign one player (ranged DPS or healer) on each side with good situational awareness that stands in the back (away from the tentacles) to eat the spit and avoid the slam. When the Tunneling Tentacle reaches 50%, two Unstable Larva will spawn on either side, beaming for the tank. Ideally, you will want the ranged DPS to kill them before they get to the tank and explode for massive amounts of damage. Once the Tunneling Tentacle is dead, the boss will channel Birthing, a 3 second cast. At the end of the cast, a bunch of Birthed Larva will spawn from the boss and headed straight for the shore. Your job here is simple: simply find a gap in the incoming Birthed Larva line and stand there, allowing the Birthed Larva to pass. If you maintain a good distance away from them, they won’t bother you. You will repeat the Tunneling Tentacle, Volatile Larva, and Birthing cycle until you get the boss down to ~44% (961 K). Your entire group will be then teleported to phase 2! Range is not an issue Don’t trust your operation window here! Even if someone is out of range in the ops window, they can be healed! 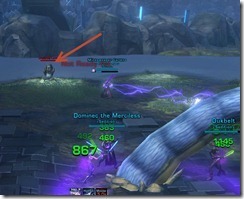 Ranged DPS can also damage the boss from any platform. Range doesn’t apply here! Platform Positioning. Tanks will need their own platforms at the top as the boss spit acid at them (occupies an entire platform). 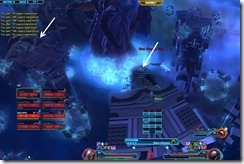 This frees up the lower platforms for DPS to travel to hit the Tentacles (you do need to be in range to hit them). Tank swap The boss will need to be tanked here while the DPS kill the tentacles. He will spit at a tank, forcing him/her to switch platforms and then follow it with a Scream (channeled cast). At end of the channel, the other tank will need to immediately taunt and grab aggro as the tank that got screamed at will now take increased damage from the boss. Grasping Tentacle These spawn in the lower platforms around the boss and will need to be killed. When these tentacles channel Slam, everyone need to get out of that platform and get back in right after. Hypergate Irregularity These spawn in a bunch of platforms after you have killed two Grasping Tentacles. They do an AoE pulsating damage so kill them ASAP (spread out after killing the tentacles). Furious Tantrum Occurs at 16%~, you will see a red text emote and the boss will aggro players randomly, damaging them for 11k using an attack called Phasic Spittle. Tanks will need to keep taunting the boss back to them. Range isn’t an issue for healing and attacking the boss. Even if your operation window tell you someone is out of range, you can still target them and heal them. Proper positioning is crucial here. Generally we have the healers and tanks up top. This allow healers to keep an eye on everything while tanks can leave spit on a platform without hindering the traveling of DPS down below killing the tentacles. You will want a healer and tank pair go left while the other healer and tank pair go right. Tanks will want to grab their own platforms to handle the spit from the boss. Terror from Beyond will spit at a tank, forcing that tank to change platforms and then immediately channel a spell called Scream (4 second cast). 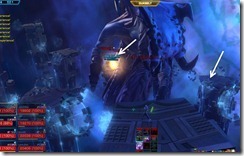 At the end of the channel, that tank will receive a debuff that causes them to take increased damage from the boss. The other tank will need to taunt immediately during the channel. These tentacles are the things DPS need to kill to damage the boss.Two tentacles will spawn in the following two platforms first. All the DPS should focus burn one tentacle first (move away when the tentacle casts Slam) before moving to the other. The other location the tentacles will spawn are the two platforms in the back once they are killed in the two front platforms. After killing the two tentacles, all the DPS should spread out as Hypergate Irregularities will spawn on a bunch of platforms. The top ones can be handled by tanks and healers while the bottom ones should be cleaned up by the DPS. They have only 9k HP on storymode. After killing about 3 set of tentacles and 2 sets of Hypergates, the boss should reach 367k (~16%) and enter a Furious Tantrum. Doing this stage, he will attack random players with Phasic Spittle, dealing ~11k damage. Tanks will need to taunt him back immediately. It is mostly a burn phase here. Once you get the boss down to 83k (~3%), the fight is over. 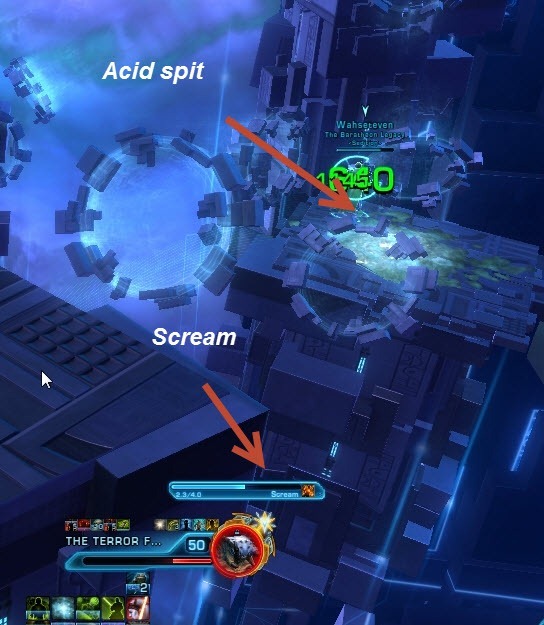 Positioning (Slam | Acid Spit) You can have one or two ranged DPS with good situational awareness to stand in the back to eat the acid spit while avoiding the slam from the boss. Rest of the raid are split into two groups and stacked onto the tentacles. Hypergate Beacon These Beacons will spawn in between the two Tunneling Tentacles and latch onto a random member (usually non-tanks). Generally they will pull a raid member onto them a couple times before killing them. These Beacons need to be killed ASAP. They tend to spawn when the tunneling tentacles are ~60%. Swirling Orbs These orbs can spawn either in the middle of the two tentacles or near one. Whoever grabs them will deal damage to themselves but also deals damage to the tentacle. Using them is optional and you can successfully complete phase 1 by ignoring them. 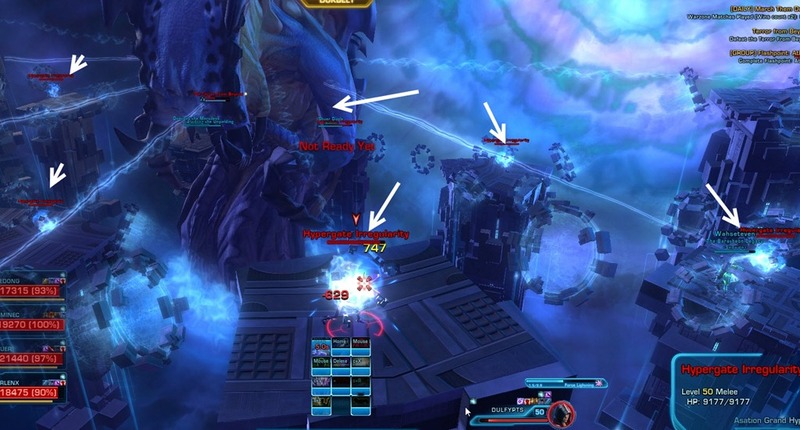 Tanks should tank the tentacles diagonal from the boss while rest of the group stands diagonal from the tank with the tentacle between the boss and the player. . This positioning allow the entire group to avoid Slam and acid spit. 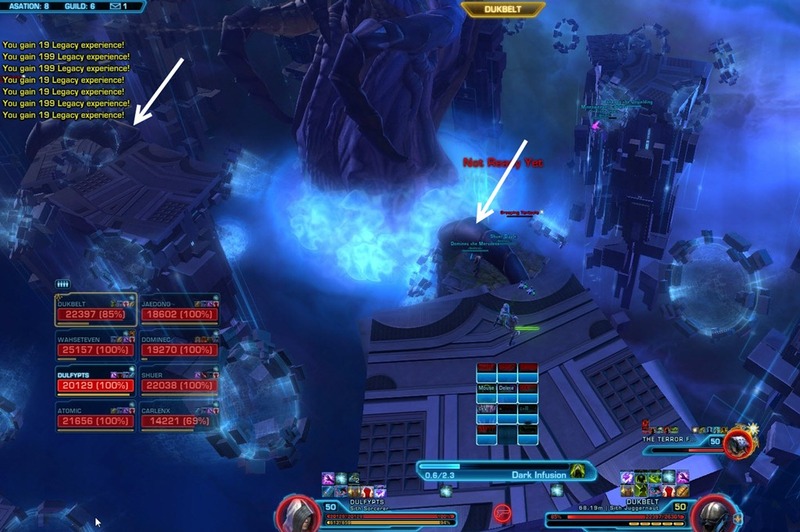 It may take several attempts for the assigned ranged DPS to get used to the Slam positioning. 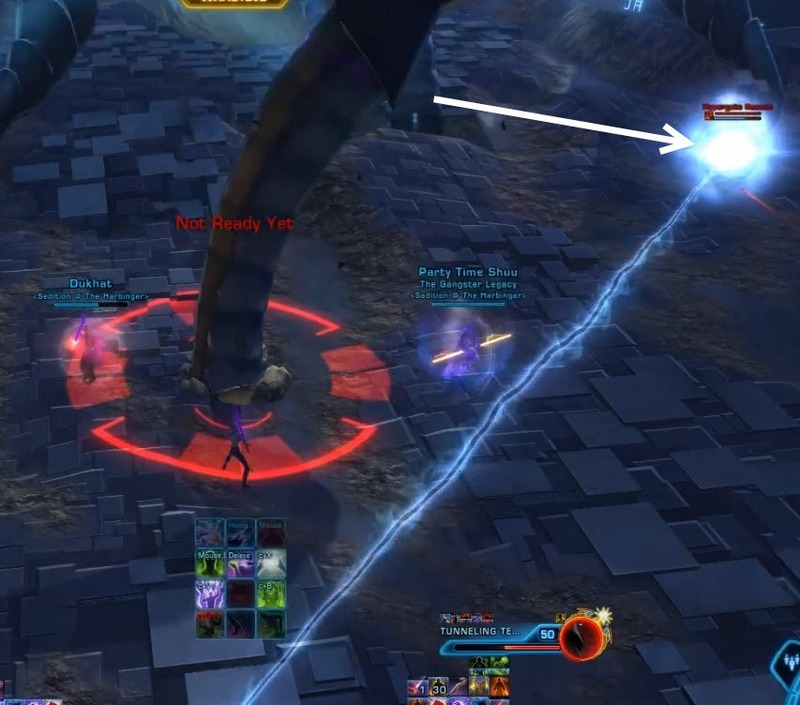 Generally, if the said DPS position themselves such that the Tunneling Tentacle is between them and the boss, they can avoid most of the slam. 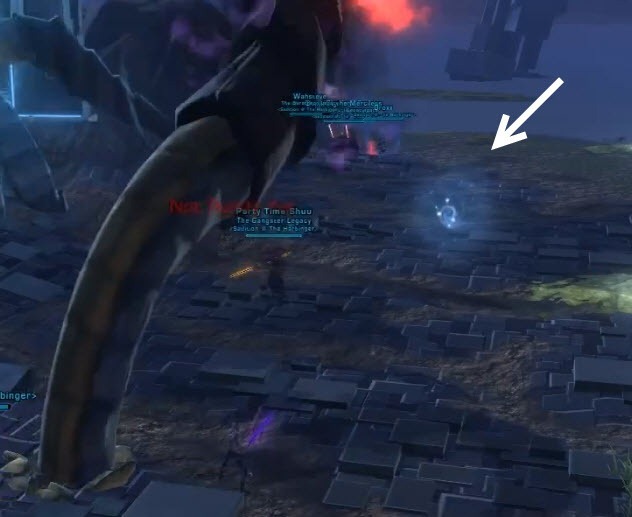 New mechanic introduced in hardmode, 1x Hypergate Beacon (on 8m) will spawn shortly after the tunneling tentacles (~60-70% HP of the tentacles) and start pulling a random raid member to them. If they reach a certain number of pulls (around 5), they will instant kill that person, regardless of how far they are from the hypergate/boss. DPS should switch from the tentacles and burn down Hypergate Beacon ASAP, it doesn’t have a lot of HP. Doesn’t seem to spawn with every tentacle phase as we have killed tentacles without seeing the beacon spawning. Spawn around the same time as the Hypergate Beacon. Seem to only get 1 to spawn per pair of tentacles on 8m but 2 spawns on 16m. You can either avoid it or have one person grab it. It will deal continuous damage to that person and the tentacle (doesn’t damage rest of the raid). The issue with picking up the swirling orb on 8m is that it will deal considerable more damage to one tentacle, causing you dealing more damage to one tentacle than the other and thus dealing less total damage to the boss. Not a big deal but expect 2x Unstable Larve waves per pair of tentacle compared to storymode since it have considerably more HP. No matter how much damage you do to the boss in phase 1, he will reset to 50% HP on hardmode. 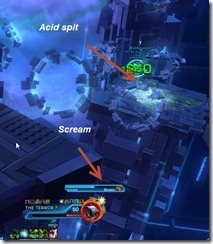 Scream debuff Tanks will need to clear this debuff by running to the Home platform. Hypergate Anomaly These spawn on the upper platforms when the tentacles are at 70% and 25%. 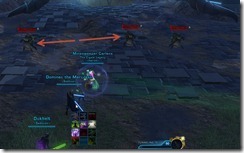 You will need to assign DPS who will hunt down these anomalies. Hypergate Irregularity Spawns on most platforms once both tentacles are down, DPS will need to be assigned specific platforms to kill these Irregularities. Furious Tantrum Boss HP reset to 15-16% (after 3 pairs of Tentacles are down) and starts Furious Tantrum phase where he basically goes crazy and aggro wipes. Everyone need their own platform to stand on and max DPS burn while tanks taunt him back/forth. The first thing your entire raid team need to be clear on is the platform assignment for phase 2. Tanking: One tank at each side, one tanking from platform 10, the other from platform 14. Tank will need to move to another platform for spit/acid and then move back to eat scream. Spit Platforms: Tanks will take the spit on platform 9& 15 (and then move to 10, 14 to eat the scream) when tentacles are at platform 11 and 13. Tanks will take the spit on platforms 11 & 13 (and then move to 12 to eat the scream) when tentacles are at platforms 9 & 15. Basically, tanks take the spit on the empty tentacle platforms. Alternatively, tanks can simply jump to platforms 1 & 8 to eat the spit. . 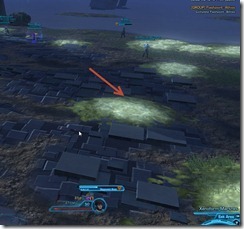 Anomaly: Anomalies will spawn on all the red platforms (1, 2, 3, 4, 5, 6, 7, 8 ) – random outer platforms. Hypergate Irregularity: Has a chance to spawn on all platforms except tentacle platforms. Healers: Healers can sit on platforms, 3, 4, 5, or 6. 4 & 5 seems to have less issues with LOS with regards to tank healing and are preferred platfroms. Quick way to get back to Home: This may or may not work for you but jumping off any platforms may have a chance to bring you right back to the Home platform or it may simply bring you to a nearby platform. Similar to storymode, TFB will spit at the tank and then follow it with a channeled scream. The tank being spit at will need to move to a clean platform while other tank will need to taunt during the channel. Unlike storymode however, the scream debuff does not wear off by itself. You will need to travel back to the home platform to remove it. Hypergate Anomaly is the new mechanic introduced in hardmode and spawns at 70 and 25% HP of each tentacle. This means that you will get four hypergate anomalies per pair of tentacles. 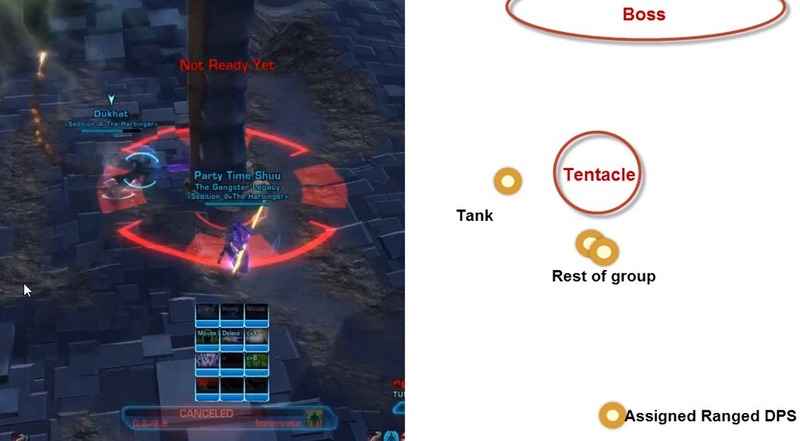 Anomlies have a chance to spawn on any of the “red” platforms in the above picture. .
You can either split DPS on the two tentacles or focus DPS on one of the tentacles and leave the other one alone. Usually one DPS is enough to kill the anomalies that spawn. Anomalies do pulsating damage called Hypergate Instability that deals 1683 damage per second on 8m. If the anomaly spawns on a platform the healer is standing on, he/she should move off to a different platform (i.e. if it spawns on platform 4, move to 3 etc). Once a pair of tentacles are down, all platforms except for the four tentacle platforms have a chance to spawn Hypergate Irregularities. During this period, the boss will channel Hypergate Irregularity for 30s and will not attack. 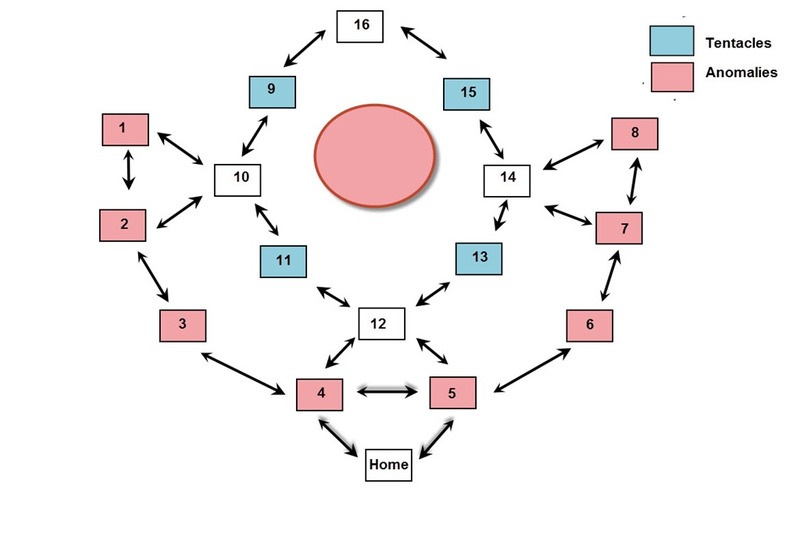 You have 17 (16 platforms + Home platform) – 4 tentacle platforms = 13 platforms to cover. 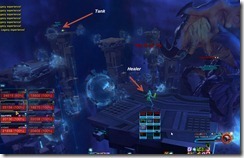 On 8m you will need to assign healers and tanks to a platform and assign DPS to 2-3 platforms. Here is an example of platform assignment for my 8m guild. Healers have platform 3, 6. Tanks got platform 16, and 14. Two of the DPS got 2 platforms while the other two got 3 platforms (they co-cover the home platform). For a 16m raid, you have a much easier assignment as you can pretty much assign a single person to each platform with extras to spare. Furious Tantrum starts once you have 3 pairs of tentacles down. During this phase, everyone need their own platform as the boss attack damages an entire platform. He will casts Phasic Spittle (hits for 16k) on a random raid member and then switches to someone else. He needs to be taunted by the tanks back and forth (make sure the other tank take a bit of damage before you taunt it back) as he aggro wipes frequently. While the tanks are juggling the boss’s threat back and forth, all DPS need to pop their adrenals, buffs, etc and max burn. Remember, the boss dies at 3%! 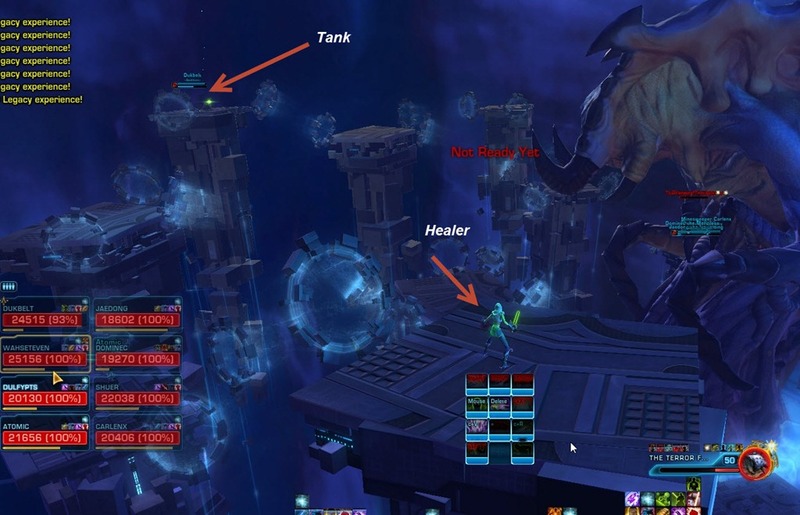 How do tanks go about keeping threat on the boss? Hit it to keep attention or do you only need to taunt? 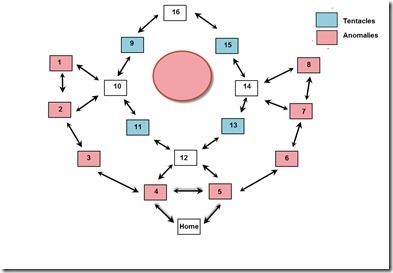 BH PowerTech here – I cant gain threat from TFB in Phase 2. He just ignores my taunts. Anyone else have this issue? I kept dying as a Tank, I was going left and could grab aggro, I’d get the acid spit, jump to another platform and then die immeadiately. Don’t know what I’m doing wong. That’s on the 2nd phase. That means the other tank wasn’t taunting during the scream, so you were getting hit by the boss when you had the scream debuff on. The other tank will need to taunt immediately after the channel is finished.” It should say “The other tank will need to taunt before the end of the channel.” Taunting at the end of the channel is too late. I’ve found that I need to taunt with no more than about 1 second left on the scream, else we’ve ended up with both tanks having the debuff. We have no problem with taunting right after the scream to get aggro, I’m curious as to why this would be an issue, can you explain more? 1 thing to add to the guide: you CANNOT deal damage to tentacles and hypergate irregularity unless you stand on the platform they spawned on. If you try to kill them ranged from another platform they’ll resist to every single attack (at least in Storymode). hey dulfy. Thanks for the great guide. Maybe its worth to note that at the Furious Tantrum phase each member should go to another platform to stand on. When the boss will hit the platform you’re on you can try to evade it by jumping away. This way a few off our DPS could survive the burnphase longer while increasing their dps. That one has a range in the secondphase. Therefore a healer should stay near the beginning so he can combatrez the person who dies. how exactly does the slam mechanic work? we never could quite get it when and why our ranged were getting hit by it, sometimes two times in rapid succession, basically one shotting them on hard mode. Which slam do you mean? The tenticles will have a casttime you clearly can see. If they start the cast, stop dps’ing asap and get the hell out off there. If you stay the incoming damage will be very big. When you see the tenticle laying down jump back and continue dps. 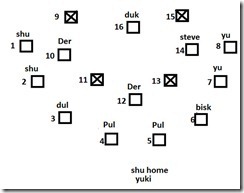 The slam off the last phase is somewhat more tricky. If you spread out you can see where he moves his tenticle. If you think he’s aiming for you just scram to another platform. I wasn’t to clear on that, but I was actually referring to phase one. Sorry for the confusion. We somehow were under the impression that the 15k hit was coming from the tentacles, but it’s actually the TFB who slams with his…legs i guess? Anyhow as soon as we realized that it was pretty easy to position the acid spray ranged so that they always were out of harms way. It also makes sense why we saw our guys being one shot from time to time, TFB when slamming to the front, does it with both of his legs. You need too split dps/tanks/heals evenly between the two tents. In each group the tank+healer+1 dps must stay within 5-10 meters. You will get a debuff which will decrease your chances on getting hit. 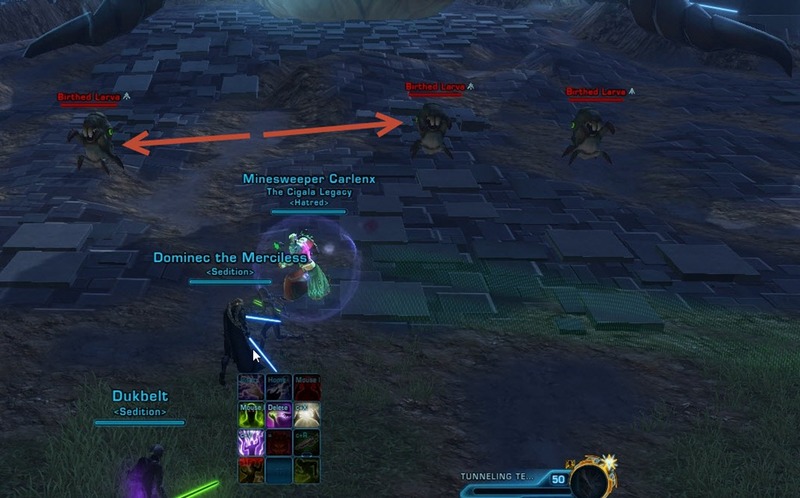 Our 2 ranged were standing at max range killing the incoming lonely beast (forgot his name) and avoiding the spit. After the tent is down just do like the dulfy guide and avoid the birthlings and attack the 2nd tent. Rinse repeat and you’ll be fine. The oneshot could be a birthling that you aggroed. It was doing around 12-13k damage on me first try when we went in blind for funs. During phase one, ALL ops members must be close enough to the tentacles to receive the “Tentacle Proximity” buff. If you’re not close enough to get this buff, the tentacles will slam you in the green goo. In phase 1 the acid spit not only happens near the shore. We were right behind the tentacle and we got spit there when we moved a bit same thing happened and we were in range of slam. This is in Story mode too.. 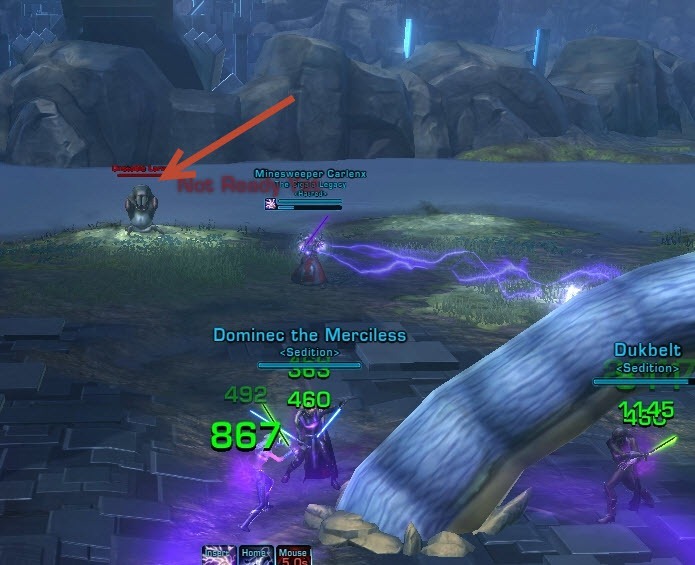 I think this has to do with general positioning / boss debuff mentioned below by Macewindy. Our group had this happen to us at first too. What we wound up doing was having each tent group keep everyone but 1 ranged /inside/ the red circle. The ranged folks kept about halfway between the tent and shore. If positioned right, no one in the circle will get hit by TFB’s center leg slam. The Tentacle slam seems to be agro based from what we could tell, as the only times I got hit with it at range was when I pulled agro from the tank. 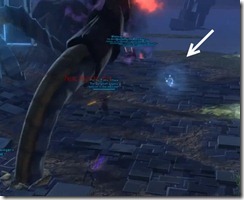 The acid spit by comparison seems to target the person(s) standing furthest from the tentacle, so your ranged person will be dancing a bit; but if you move promptly (and have bubbles) it’s not hard on the healer and it keeps the acid away from the rest of the group. True, there is a chance of suffering the knockback into a pool, but I only had it happen to me about 3 times in the entirety of Phase 1. Grats! Any chance we could get a pic from the front as well? Ok, I want to add on this as I’m a Guardian Tank and on phase one I’ve found from tanking the left side of phase 1, there’s a rock you can stand on that keeps you away from the adds that spawn in between tentacle attacks and you’re in range for all the follow on attacks. Just fyi, you could probably put the 2 dps and healer up there as well, just don’t get too close to TFB. Great guide! 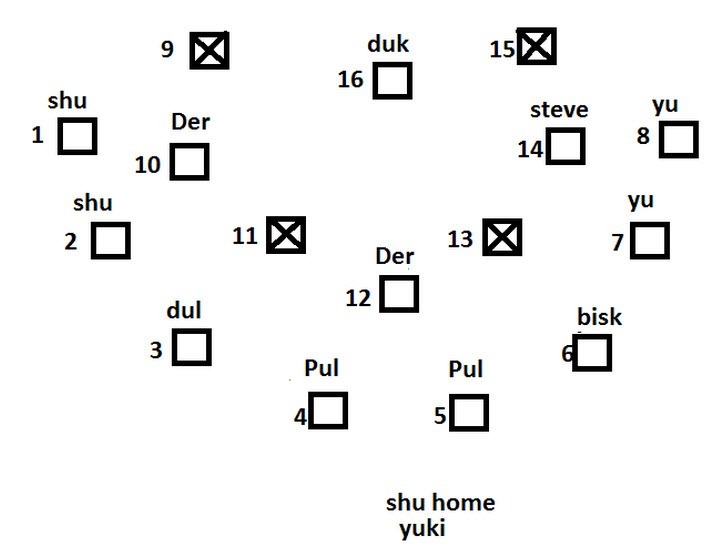 Just wondering if there is a guide to EC with the same style as this one? could not seem to find one here on dulfy. any links would be appreciated and keep up the good work! Going in with my guild tho I have noticed a few things different which only made our lifes harder. On the last boss, first phase in story mode those adds that spawn when the tentacles get to 550%, don’t just spawn once…they keep coming until the tentacle is dead. Is anybody alse noticed that, or we were just that “lucky” to get all those extras? when do you update TFB endboss guid for HM ? Great guide! I have been using your information as a resource for my operation group for quite some time. I just would like to add one piece of information that we have discovered in our time in TFB SM (cleared SM multiple times, still working on HM). We have noticed that there is a way to avoid all Slams during Phase 1 without having to stack on the tentacles. If you look that the ground in Phase 1, there are three distinct areas. Close to TFB there are patches of metal/rock like features, farther away there are patches of grass, and dividing all these patches are essentially small valleys of dirt. Slam occurs when someone is standing in the dirt, and can then hit people standing in the mentioned safe zones (grass and rock). Therefore, we arrange the ranged dps and healers in the grassy sections, one to each patch, so they can manage the acid pools with room to spare, and then make sure the melee dps are standing on rock areas. I can’t speak for HM TFB, this can only be confirmed on SM. Do you have a current ask mr. robot or similar profile Dulfy? I would love to see your distribution of stats / gear. Your AEs hit for a little bit more than mine and i’m curious if that’s a surge or overall power deficiency in my gearing. I don’t think this HM strat works for tanks. If you are on 9, 15, 13 or 11 you get hit with his tail swipe if you have agro and it does 12k damage every 4 seconds. if you looked at the video, that is exactly where the tanks were standing. On 16m w/ another guild, they have tanks tank on 10/14 and then go to 1/8 to eat the acid. I will upload the 16m video in a bit. Hey, I was wondering if anybody else has the same issues as my raid group or can tell me what causes our problem. We cleared TfB HM months ago and since are farming it every week. But at the final encounter during the second phase we need to run a “special” tactic different from the one described in this guide. The problem is the scream debuff in phase two. We do this like probably most groups: the tank that gets spitted at jumps down from his plattform immediately after spit and then automatically reappears at the “home” platform where he can lay off the scream debuff. But only our offtank (assassin) can do that. Our maintank (PT) just won’t appear on the home platform after he jumps down, he always reappears on the platform he jumped down from which is the one with the spit on it. Even if he first moves to another platform (for example no. 8 in the graphic above) and jumps down from this one he would just reappear on the spit platform (and most times die because of that). This was not only an issue in one single try, we kind of tried it every few weeks but it’s always the same problem with him. Our shadow offtank never had this problem, nor another PT tank we once took with us. But another guildmate has the same problem with his juggernaut tank as well as another PT from our server that we talked to. The only similarity between these three tanks that occured to us is that all three have body type 4 while all the other tanks where this “jump down” tactic works have body type 3 or smaller. Does anybode else have the same problem and / or know what causes this problem and if we can avoid it somehow? As I said, we run another “special” tactic than the one mentioned in this guide where only our offtank eats the spits, but it’s kind of strange that only a few tanks have this problem….